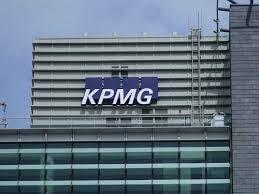 A remarkable warning from KPMG arrived on Tuesday: According to the accounting giant the number of firms operating in the global asset management industry will be cut in half over the next 15 years. Oh yeah, and get ready to compete against Apple and Google in the investment space. The report, tabled Monday suggests that by 2030 the typical client base of a firm or advisor will be dramatically different than today. Gen X will be approaching retirement, Gen Y will be maturing. The middle class in emerging markets will be bigger and more developed than ever. Working through these shifts will tough. "Younger generations will likely save more as they see their parents run out of money in retirement. We also expect to see a significant boost of new money from the growing middle class in China, Mexico, India, Nigeria and other developing economies over the next 15 years," according to Tom Brown, a KPMG executive. According to Brown the industry will no longer be only about attracting the clients armed with cash and ready to invest. The successful asset managers of tomorrow will focus on building "cradle-to-grave" relationships with a dramatically different and more diverse client base than today. Interestingly, "There is huge risk that the global economy can't grow fast enough to absorb the volume of savings needed to fund the needs of an ageing population." The report also suggests that "New entrants, who aren’t plagued by legacy issues and outdated clunky systems will survive…Trusted brands that resonate and appeal to a more diverse client base, as well as the younger generation, may be able to build scale quickly." Intriguingly, the report suggests that "giant technology companies like Apple, Google and Amazon could become major players in asset management by 2030...We could see technology companies or large retailers of the world becoming the next big powerhouses in investment management."